After a sold out first edition (with rave review by DJ Mag) The North Quarter returns to The Pickle Factory for round two. 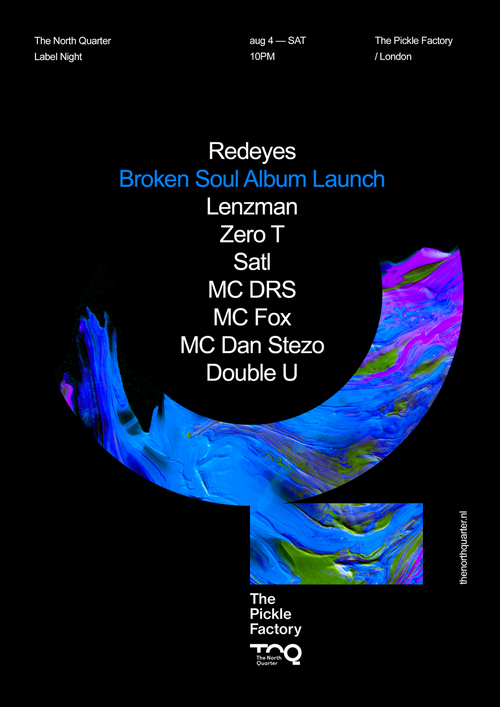 On Saturday the 4th of August label boss Lenzman will once again be joined by the North Quarter all stars to celebrate Redeyes’ forthcoming Broken Soul LP. Expect nothing but good vibes. *NQ merch will be available for sale on the night.